Recently I have been obsessed with something called New Braunfels Mom's Shop 'N Swap. It's like a craigslist for New Braunfels' moms. You can post to sell something and if it's fairly cheap just leave it on your porch and send the address privately to the person requesting to buy. They pick up and leave the money under your door mat. It works great because being a busy mom I don't have all the time in the world to put together a garage sale, but I can find the time to post a couple items here and there and when they sell just place them on my porch. I have been obsessed with the Shop 'N Swap because it's a great way for me to find decor and furniture for our house really cheaply. The people on there are looking for a good deal, so the sellers know they need to post it for a good deal or it won't sell. Hence, I get some killer deals on awesome stuff!! Want to know my latest find? Well, I was browsing one day and came across something that made me smile, something that warmed my heart, something that made me happy to be a Texan.....a roping steer! 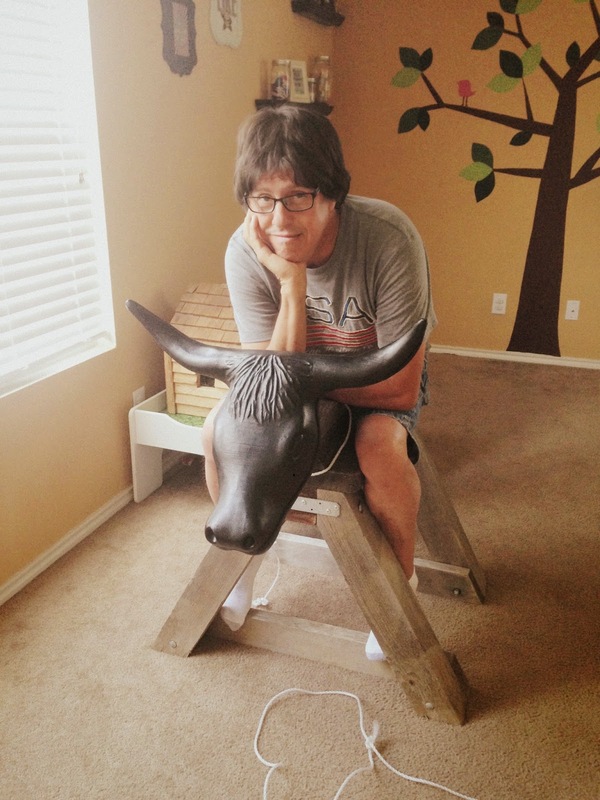 Yes, we found a used roping steer for a smoking deal! When I lived in Arizona there was no way you'd find a used roping steer, well at least not in Phoenix. 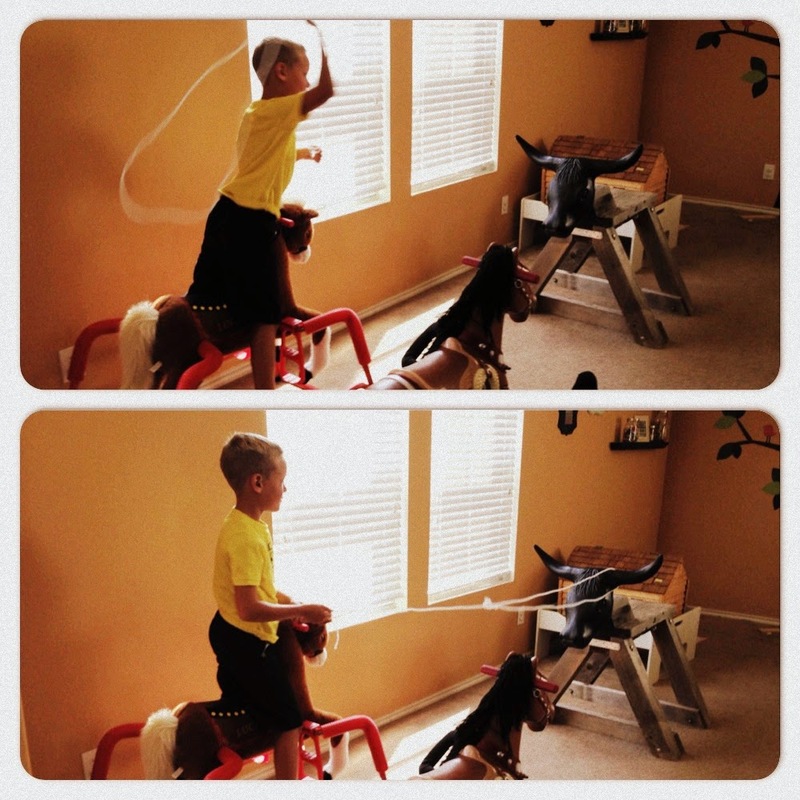 Now though, we have an awesome roping steer set up in our playroom and we are loving it. 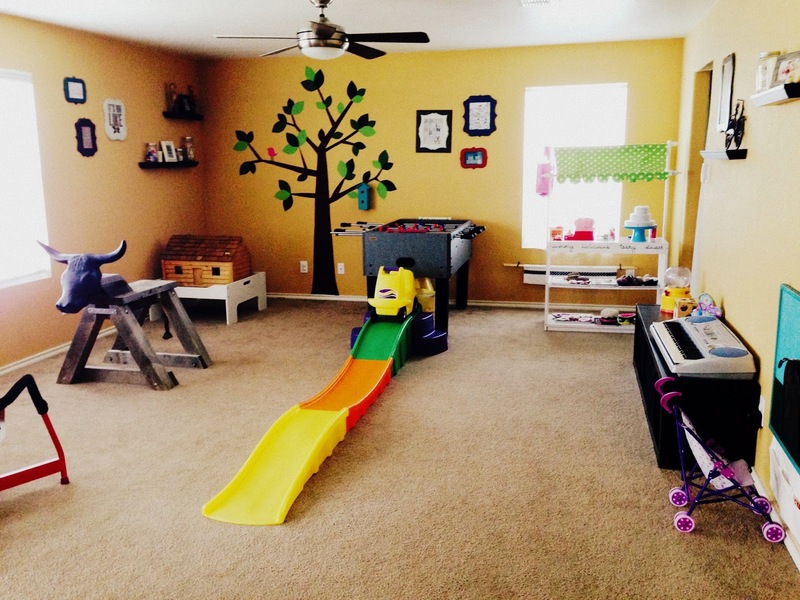 Of course this meant I had to shift everything around once again to make room in our playroom for this big beast. The main reason we got it, besides the fact that it makes my heart happy, is the fact that we have already been blessed with two horses. So the girls on a normal basis sit side by side on their horses and race each other. 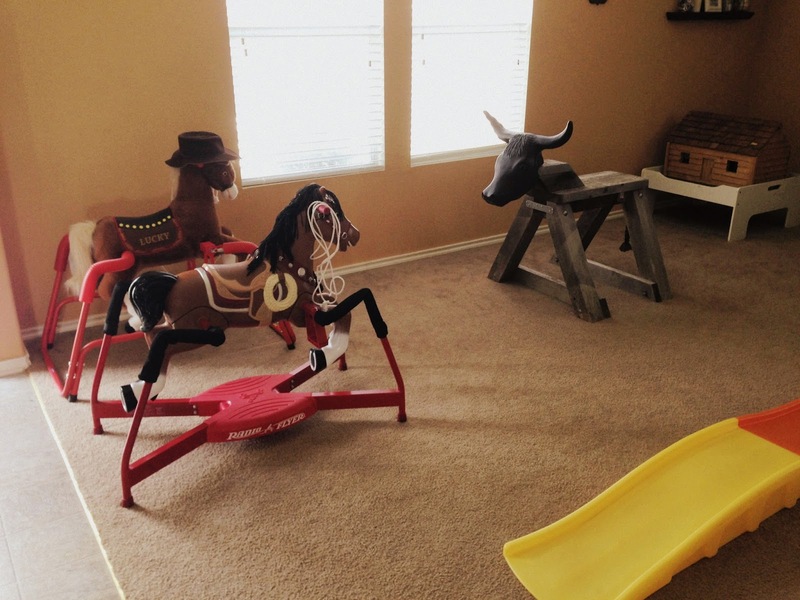 Well, now after we've rearranged the room they can sit side by side and practice roping the steer. I also plan to put it outside as a fun activity when we host parties. We are always trying to use our house to bless our church family and whoever the Lord wills. 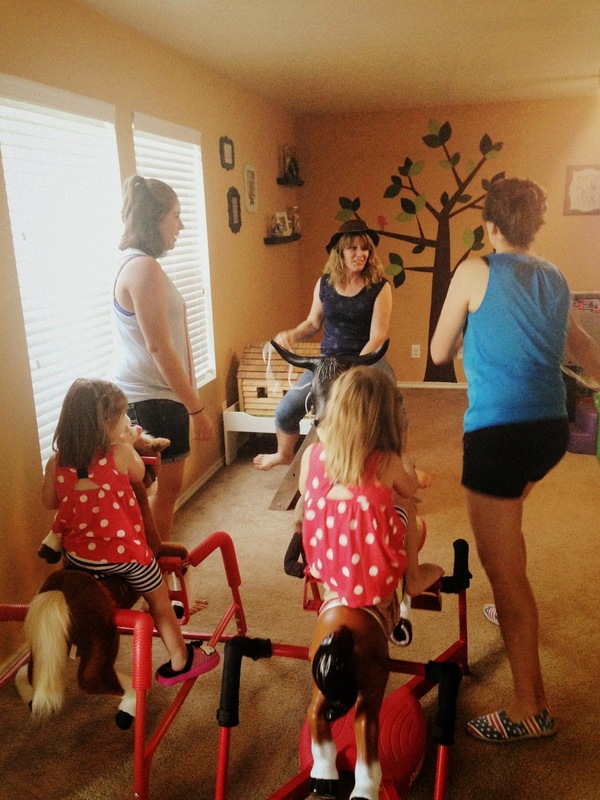 Our playroom is set up nicely for the ages of kids we've had in our circle of friends from the church, however this last party we hosted we had a few new families and our age range went up to the teens. 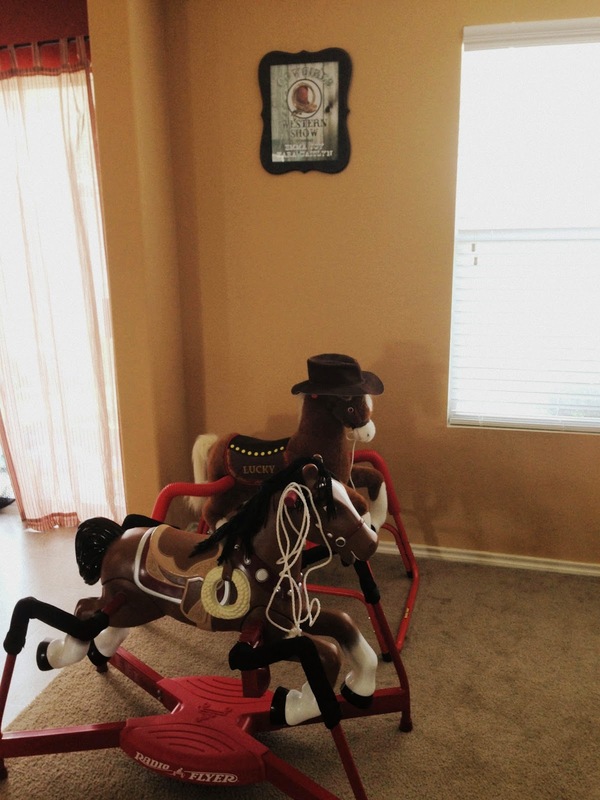 So, I thought that if this was set outside with some real lassos then they might have some fun and it's more fun to keep them outside which keeps the parents happy. I used to have the cupcakery where the horses are and on the wall it was the sign for the 'Sweet Sister's Bakery'. 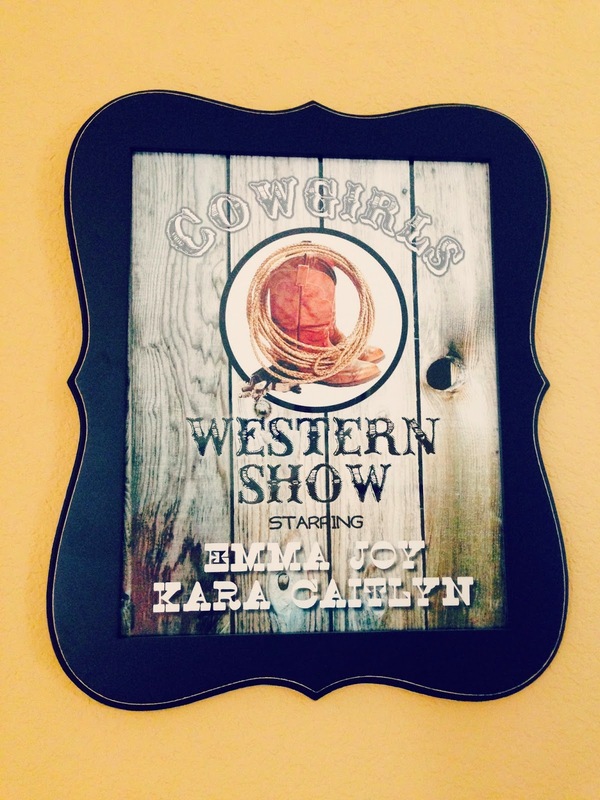 Since, we changed it up I created the western show sign below. 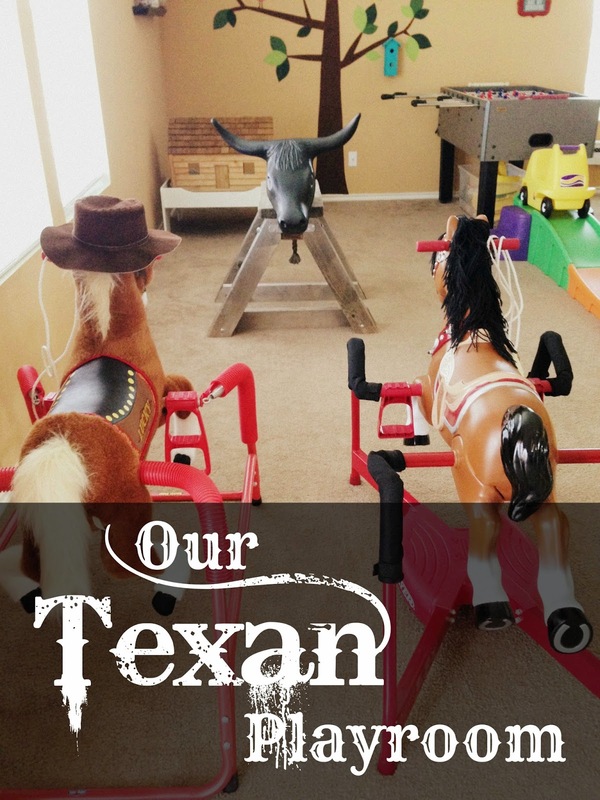 Hope you've enjoyed another peek at our ever transforming playroom from here in Texas!